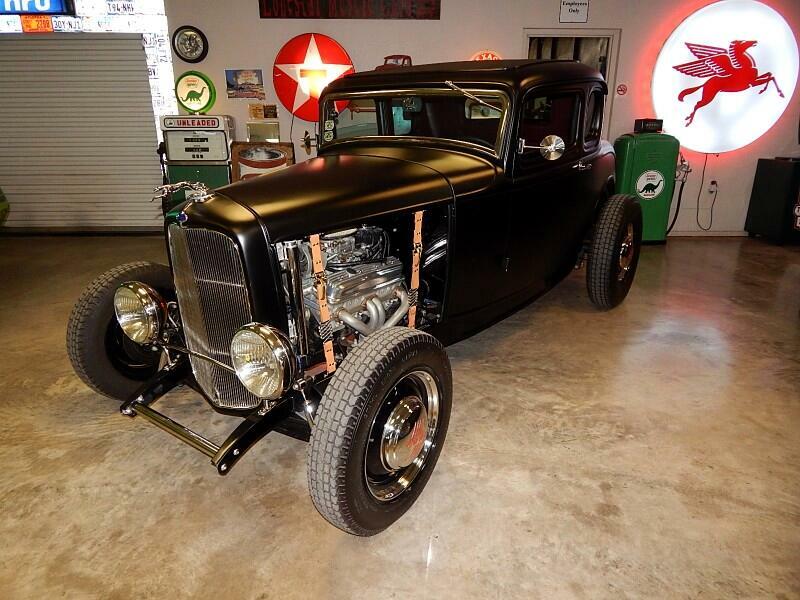 Lone Star Muscle Cars is proud to present this ALL STEEL 1932 Ford Five Window Custom Street Rod. In A Henry Ford Body this custom will turn heads In Fact it just won at The Lone Star Good-guys Event. Painted in Hot Rod Black All New Tires With the Classic 32 Look. On The Interior you will see a full dark red leather interior with Lokar shiftier mated to a four speed automatic transmission. Full SW Gauges The windshield will move out but you have vintage heat and air system for that year around driving. Powered By a ZZ4 Small Block V-8 With Tons of Chrome on The motor. This Classic is ready to go. Call today for more info or schedule a test drive. Classic car financing available call dealer for details. Message: Thought you might be interested in this 1932 Ford Street Rod.